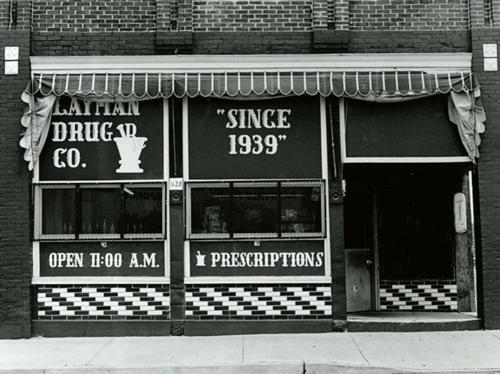 Located at 1128 3rd Avenue South, Layman Drug Company has been a fixture in the Chestnut Hill neighborhood for almost 130 years. The original structure was built in the late 1890s and for nearly a century served as a pharmacy until its closing in 1993. As a part of the fabric of Music City, the structure has had its brushes with the music industry. The building was featured on the cover of legendary Rock 'n Roll singer Dion’s Velvet and Steel album. Buzz Cason, songwriter of "Everlasting Love" among other classics, has a band photo in front of the building dating to the mid 1980's. The building can also be seen in Alan Jackson's music video for "www.Memory".